Come See CrossRoads At TCTC! Want to find out how to get a free mission trip in 2019? Just come visit the CrossRoads Missions booth at the Tennessee Christian Teen Convention, this coming weekend in Gatlinburg, TN. 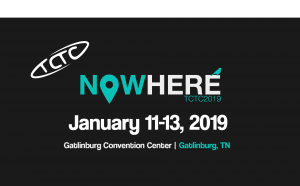 TCTC takes place January 11-13 from Gatlinburg in the Smoky Mountains of East Tennessee. This event will draw thousands of participants and features a host of special speakers, concerts, stand-up comedy, and so much more. CrossRoads is honored to be part of this event for yet another year, seeking to gather interested participants for a special trip this summer to Haiti. The group will visit churches and schools in Haiti, while also working on a building project in a remote mountain community in the island nation. The trip is intended for TCTC students, ranging in age from upcoming high school sophomores to recent high school graduates. Further information on specific travel dates will be released at a later date. Remember that this special trip to Haiti is just one of the ways that you can serve with CrossRoads. We regularly send short-term mission groups to serve in our permanent fields: New Orleans, Piedras Negras in Mexico, Louisville, and the Floyd County area of Kentucky in the Appalachian Mountains. Check out the current list of planned trips, including pricing and available space, here. We look forward to seeing everyone this weekend at TCTC! ⟵Help Us Meet Our Year End Goal!